Allele Phase II has arrived! Beautifully appointed 2 and 2+ bedroom homes with designer finishes. Sun-drenched open spaces showcase elegantly appointed designer kitchens with stainless steel appliances, a stone counter top with a waterfall island and a spa bathroom with a glass enclosed rain shower. Floor to ceiling windows provide beautiful natural light. Also included are birch hardwood floors, a laundry room and an assigned garage parking space. Private roof decks available for purchase for select units. 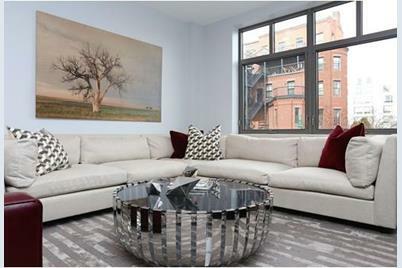 The model unit is tastefully furnished by Mitchell Gold and Bob Williams. Shown by appointment Monday through Friday after 3:30 pm; or any time on Saturdays and Sundays. 150 Dorchester Ave #413, Boston, MA 02127 (MLS# 71972636) is a Condo property that was sold at $1,095,000 on July 01, 2016. Want to learn more about 150 Dorchester Ave #413? 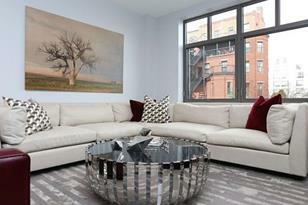 Do you have questions about finding other Condo real estate for sale in South Boston? You can browse all South Boston real estate or contact a Coldwell Banker agent to request more information.